For the 6th International Footbridge Conference we welcome you to Berlin from September 6th to 8th 2017. As with the preceding events in Paris, Venice, Porto, Wroclaw and London, bridge designers and builders from all over the world will come together to share their views, to exchange ideas, to learn and - last but not least - to meet colleagues and friends. Footbridges are an important component of our built environment, they can add much to the culture of building and they are exciting to work on as they bring together experts from numerous disciplines, such as civil engineers and architects, artists, landscape designers and lighting experts. This sixth conference will follow in the footsteps of earlier conferences in that the theme of structural dynamics – Dynamics and Innovation – which triggered the first conference in Paris, will be kept on the agenda. What is new to this conference is that there are two themes which we have identified as stimulating and important not only to the footbridge community, but also to designers working in many other fields of construction: Cultivate Debate and Footbridges for Berlin. 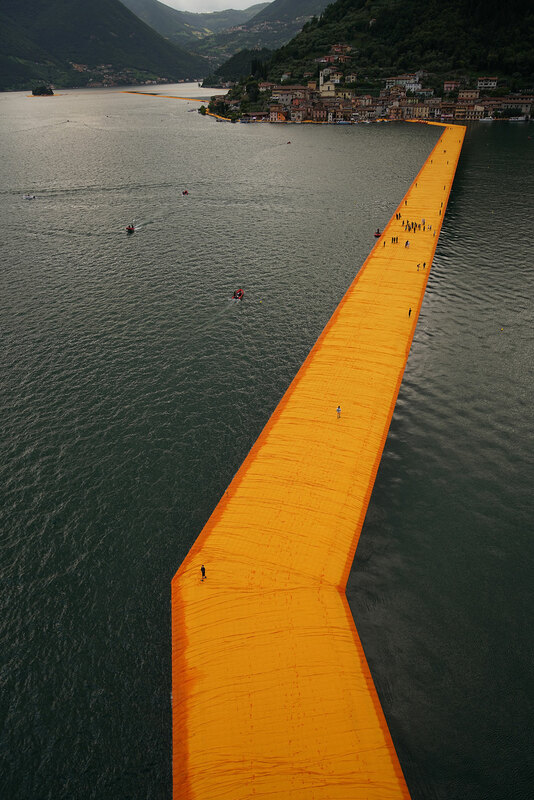 Another tradition, the triennial Footbridge Awards, will also form part of the event. Footbridge 2017 is expected to attract more than 300 delegates from all over the world. The event is aimed at practicing engineers, designers, consultants, architects, bridge owners, constructors, researchers. Anyone engaged in the design, construction and maintenance of footbridges is addressed by this conference. Looking forward to meet you in Berlin, Mike Schlaich (Chairman of the Scientific Committee), Laurent Ney and José Romo (Co-Chairmen). Plenary keynote lectures from eminent speakers from all over the world will introduce the different themes and will form another important component of the conference. Design a footbridge for Berlin; the city is short of footbridges and yet has so many rivers and other interesting sites that are crying out for a bridge. Working with the Berlin Bridge Department we have identified six central locations that are typical of Berlin, and where footbridges are needed. The idea is that you choose one site and present as a “paper” your design for this specific site; i.e. you submit an interesting idea for a footbridge on three A4 pages only. This is not a design competition and the city has no immediate intention to build any! So why go through the effort? The reward will be a book documenting all interesting bridges for the six locations and its working title will be "the world´s footbridges for Berlin". These special conference proceedings will be a precious collection of ideas from leading experts in the field and your bridge can be part of it. Your proposals will also be presented and discussed among the participants during the conference. When you present your bridge, tell us the story of how you came up with the idea, enter into discussions with colleagues from all over the world, educate the young and learn from the more experienced. Tell us stories about a design of yours or the concepts, ideas, challenges behind a new material, an algorithm or a construction sequence you have used. Explain from whom or what you have learned or enter into a discourse about your own work or that of others. Structural and civil engineers in particular are not experienced in discussing their work, in participating in critique without offending, in consciously entering debate on their design ideas, in defending them or arguing the case of others. Write a paper about such issues; inspire us by telling your story. In the late 1990s some well-known pedestrian bridges suffered from excessive excitation and no immediate solutions were available. Research on pedestrian-induced vibrations rapidly became a hot topic in the engineering community and a main theme for footbridge 2002 in Paris. Even now it is a subject of great importance and we are looking forward to interesting research papers on dynamics issues such as identification of vibrations and dealing with them. Other contributions on innovations in the field of footbridges are welcome. The idea is that you choose one location and present your design for this specific site; i.e. you submit an interesting idea for a footbridge on three A4 pages only. For a detailed description please see Footbridges for Berlin. A design brief of the 6 locations for your bridge design is shown below. For further information you can find a photo documentation and detailed plans of the site in the corresponding zip-folders for download. The information was prepared by students of Technische Universität Berlin as part of a seminar at the Chair of Conceptual and Structural Design in the summer semester 2016. No further information can be provided by the organisers, so designers must prepare their concepts purely on the information provided. The Brommy Bridge was built in 1909 and demolished in 1945. It is bridging the river „Spree“ between the downtown districts Kreuzberg and Friedrichshain and is close to the Berlin Wall (East Side Gallery). Location at the entrance of the future city quarter „Europacity“, bridging several train tracks, located close to Berlin Central Station. Situated in Berlin´s new highrise area „Potsdamer Platz“, the bridge for this site should connect the two inner city parks „Tilla Durieux“ and the „park at Gleisdreieck“ over the ship canal „Landwehrkanal“. The location of this bridge family is at the confluence of the river „Spree“ and the ship canal „Landwehrkanal“ connecting the downtown districts Charlottenburg and Moabit. This bridge family is located 20 minutes outside of Berlin in the district Spandau close to the historic monument Spandau Citadel. The Waisen Bridge in downtown Berlin is one of the oldest bridge sites in Berlin. All former bridges from medieval times until its last design as an arched stone bridge in 1894 have been destroyed. The presentation of a Full Paper on Cultivate Debate as well as on Dynamics and Innovations shall be no longer than 15 minutes including 2 minutes for questions from the audience. The Chairs of the sessions are requested to watch this time limit strictly. Please use Power Point for your presentation. You are free to use your own design, there will be no template provided. If your presentation is in Room D we recommend a format of 4:3 for your presentation which gives a slightly larger projection than 16:9 format. The procedure for presenting your design for the theme Footbridges for Berlin will be described in a separate email to the authors. Please use Power Point for your presentation. You are free to use your own design, there will be no template provided. If you have not received up to now any instructions by email please get in contact with dirk.peissl@tu-berlin.de immediately. All presenters are requested to upload their presentation at the conference desk latest before the keynote lectures start on the day their presentation is scheduled. Participants wishing to present a design for Footbridges for Berlin should submit a registration using this registration form: registration_form_design_footbridges_for_Berlin.doc Please note that the registration form must be submitted via the Converia online system, where you can also register for a user account. Hard copy, email or fax registrations will not be accepted. The document should be submitted as Portable Document Format file (.pdf). Registrations for a footbridge design must be received before 1st January 2017. The paper ID is a number ascribed to registration form submission and can be found in your Converia user account. In this example the unique paper ID corresponds to 261. The abstract must be submitted via the Converia online system, where you can also register for a user account. The document should be submitted as Portable Document Format file (.pdf). Please note that hard copy, email or fax submissions will not be accepted. The subject must relate to the aforementioned themes to be considered, and the paper should clearly indicate which specific theme it addresses. Full text papers including the two-page short versions must be received before 7th April 2017. For submission please use the Converia online system. Documents should be submitted as Word files (doc, docx) and as Portable Document Format file (.pdf) with the following filenames. The paper ID is a number ascribed to abstract submission and can be found in your Converia user account. In this example the unique paper ID corresponds to 261. The two-page short versions are strictly limited to two pages and should be prepared according to the guidelines in the paper template (see above). Please keep in mind that the short versions will be printed in black and white in the conference book and will serve as a summary of your paper. The full text papers should be prepared according to the paper template (see above). The first page of the full text papers should preferably be free of tables, figures or photographs. an electronic media like a CD or memory stick with the full text papers. 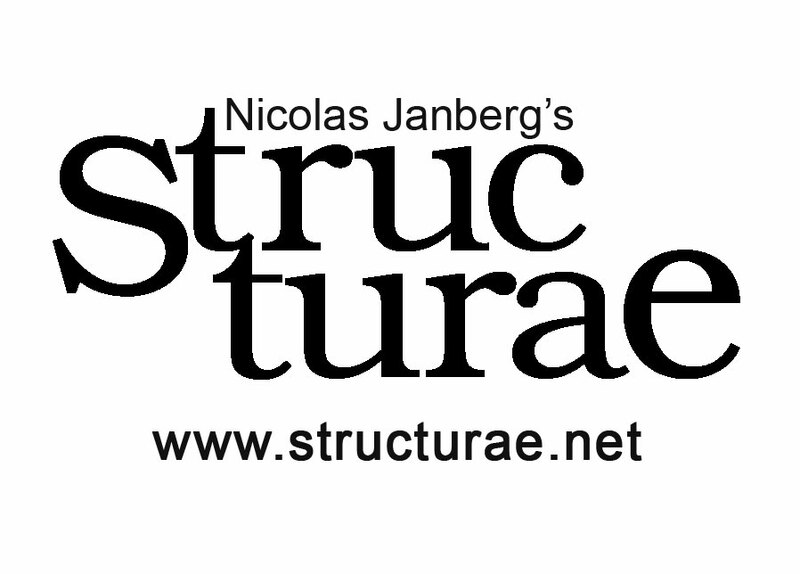 The full text papers will also be available online on www.structurae.net from 1st April 2018. The conference will be held in English without simultaneous translation. Authors invited to present their papers must be able to do so clearly in English and be prepared for a discussion. For your presentation at the conference please use Powerpoint or Adobe. If there are further questions or problems regarding the submission please get in contact with info@footbridge.com. 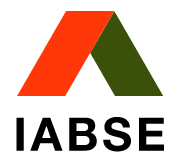 The conference will take place in the Centre of Berlin at the historic monument of the former AEG production facilities, today’s home of the department of “Bauingenieurwesen” of the “Technische Universität Berlin”. The building ensemble with its impressive assembling hall built in 1912 and designed by the architect Peter Behrens and the engineer Karl Bernhard represents a unique and congenial collaboration between both disciplines. Since its renovation in 2003 the renamed “Peter-Behrens-Halle” combines the work and research of scientists and engineers from all different fields and countries under one 5.000 sqm glass roof. 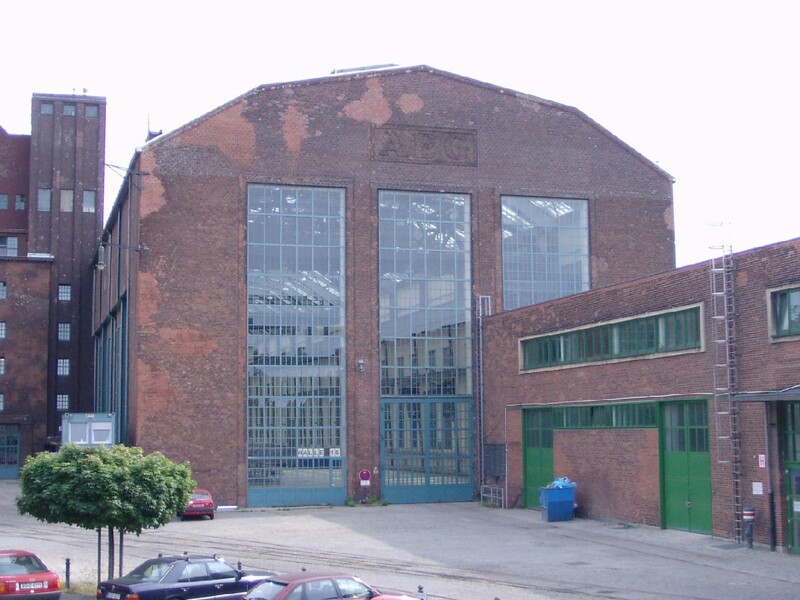 Now a part of the Footbridge 2017 venue will be in this bright, wide and extraordinary space of “Peter-Behrens-Halle”. The exhibition will also take place there. The venue is located within walking distance to the former Berlin Wall and close to the City Center of Berlin, just a few minutes away to many important sites and places such as ”The Reichstag” and “Alexanderplatz”. Take the Tram M10 (direction: S+U Warschauer Str.) and change at S Nordbahnhof to the railway S2 (direction: S Bernau Bhf). → Get off at S Humboldthain. Take the railway S9 (direction: S+U Pankow) and change at S Bornholmer Str. to the railway S2 (direction: S Lichtenrade). Take the bus TXL (direction S+U Alexanderplatz via Hauptbahnhof) and change at S+U Brandenburger Tor to the railway S2 (direction: S Buch). Walk along the Wiesenstraße/Hussitenstraße until the crossroad Hussitenstraße/Gustav-Meyer-Allee in south direction, turn into Gustav-Meyer-Allee. The TIB area is on the right hand side. A variety of hotels can be found around the TIB area and can be reached either by a short foot walk or by public transportation (just a few stations). For example, the 4-star Holiday Inn Berlin-Mitte is located in a five-minute walk distance at Hochstraße 2-3 and just around the corner the Citylight Hotel can be found at Böttgerstraße 23. Some steps afar (Osloer Straße 116a) the Wyndham Garden Berlin Mitte offers good rooms as well. Several hotels can be found at Rosenthaler Platz (the Amano Hotel in Auguststrasse 43, Hotel Mani in Torstrasse 136 and the ibis Styles Berlin Mitte Hotel in Brunnenstrasse 1-2) whereat a direct connection to the subway U8 exists. There are reserved rooms at the following Hotels for you from Sept. 5th – 8th 2017. Please book with the keyword “Footbridge 2017”. Please note that Hotels might need credit card details for the reservation. There might be an additional City Tax of 5% in some of the Hotels. The hotel is located right in the center of the city. Rosenthaler Strasse 1, 10119 Berlin. The shops at Hackescher Markt, the galleries of the Scheunenviertel and the Museum Island are in short distance. Free WiFi access in the Hotel. The Hotel is just 3 km away from the Conference Site, 2 stations with the underground U8. The 4-star Mercure Hotel Berlin City is situated at Invalidenstraße 38, 10115 Berlin. Its central position treats to sightseeing tours and offers a good connection to the public transportation in Berlin. Each room, has its individual charm. The hotel restaurant offers international, modern food in a relaxed atmosphere. The Hotel is just 2 km away from the Conference Site, 1 station with the S Bahn. The Best Western Hotel Berlin Mitte is located in the historic center of Berlin next to the famous “Friedrichstraße” with a variety of bars and restaurants. It can be found at Albrechtstraße 25/corner Reinhardtstraße in 10117 Berlin. The rooms are partially situated in the direction of the historic bunker and all of them offer a good 3-star standard. It is possible to rent a bike at the hotel. The Hotel requires a min. stay of 2 nights. The Hotel is just 3 km away from the Conference Site, 3 stations with the S Bahn. The Maritim proArte Hotel Berlin is situated centrally at Friedrichstraße 151 in 10117 Berlin. Besides the modern design of each room free Wi-Fi is offered for all guests. The classy ambience is complemented by the noble marble bathrooms. The hotel offers a wellness area as well as a swimming pool. The restaurant “berlin tappas” serves Berlin culinary specialties in the form of appetizers. The Hotel is 4 km away from the Conference Site, 3 stations with the S Bahn. 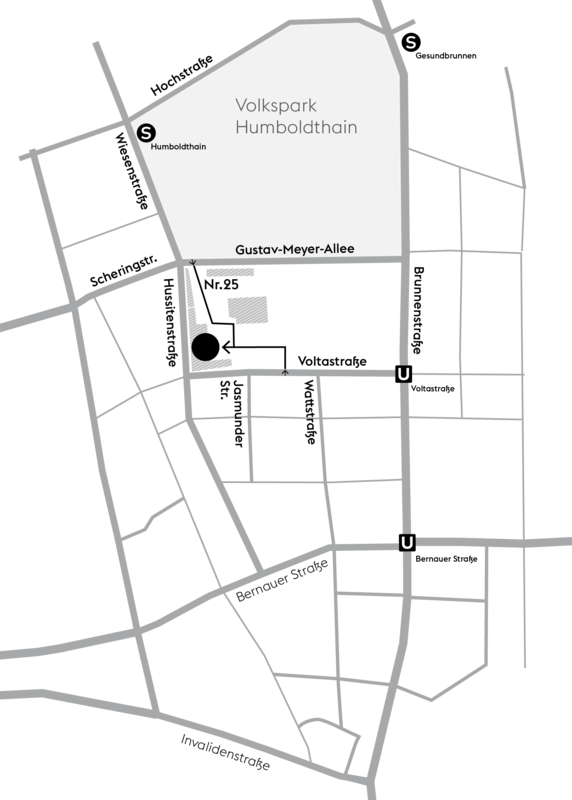 From the TIB area you can easily reach the bus stations (the 247 bus) Rügener Strasse, Humboldthain and Humboldtsteg, the subway station U Voltstrasse (U8), the railway station S Humboldthain (S1, S2 and S25) and the bus, railway and subway station Gesundbrunnen (S1, S2, S8, S9, S25, S41, S42, U8 and 247). For more information on the public transport please have a look at www.bvg.de/en and at this map. There are several options around the TIB area if you are searching for a restaurant. For instance, the Café & Restaurant Lichtburg is situated at Behmstrasse 9 and offers good local food in a rustic ambience and is just some cross-roads away. The restaurant Uferlos at Uferstrasse 13 serves Hungarian food. The Italian restaurant Bella Italia is located directly in the Brunnenstrasse. Some restaurants can be found in the surroundings of the bus and railway station Gesundbrunnen. Near to the TIB area are some sights which can be visited. If you are looking for some cultural education, the Museum for Natural History as well as the “Hamburger Bahnhof”, whereat several exhibitions take place, treat to a view. Next to the “Hamburger Bahnhof” -“Sarah Wiener” is a popular café which is worth a stop. Moreover, the historical site of the Berlin wall is just a 10-minute walk away. If you would like to see some famous places you may take the railways S1, S2 or S25 to Brandenburger Tor, Potsdamer Platz or Friedrichstrasse. If you are looking for more information concerning sightseeing in Berlin you may have a look at the following website: www.visitberlin.de. 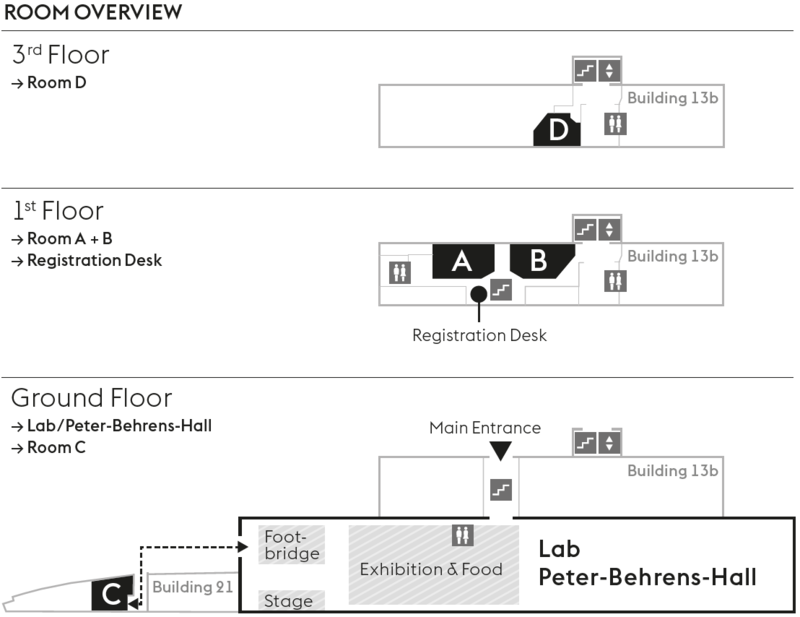 Besides the scientific program, the conference fee includes the coffee and lunch breaks and the welcome reception on the first evening. Payment can be done by credit card or via electronic transfer. Requests for cancellations must be made in written form and send to kongresse@tubs.de by 26th July (6 weeks before conference, free of charge). For cancellations from 27th July – 23rd August administration fee of 50% applies. Requests made after 23rd August will not be considered. Information on visa can be found at the Federal Foreign Office. 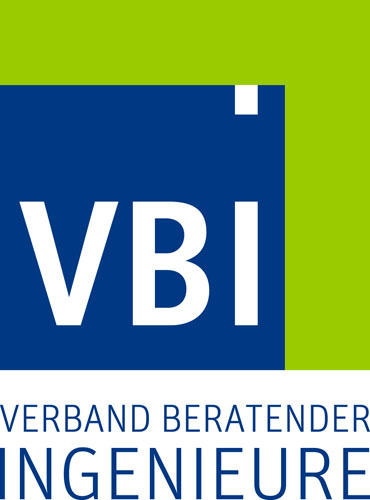 Participants who need a visa can get an official invitation letter after the conference fee is paid by sending a request to kongresse@tubs.de. A limited number of sponsorship packages are available to connect corporate partners with key audiences through a range of branding and thought-leadership opportunities. Companies wishing to register an interest should have a look at the Sponsorship and Exhibition Broschure or get in contact with messe@tubs.de. Bridge design & engineering is the only magazine exclusively dedicated to the international bridge industry. This visually stunning quarterly magazine includes details of the latest innovations, technical features, interviews and project reports. Bd&e is essential reading for anyone who finances, plans, designs, builds, maintains, operates or owns bridges. Bridon-Bekaert Ropes Group (www.Bridon-Bekaert.com) is the world’s premier supplier of mission-critical advanced cords and ropes. As a leading innovator, developer and producer of the best performing ropes and advanced cords globally, the Group provides superior value solutions to the oil & gas, mining, crane, elevator and other industrial sectors. Two of the most enduring wire and rope pioneers joined forces in 2016 to make this ambition real. Bridon-Bekaert Ropes Group has a global manufacturing footprint and employs approximately 2500 people worldwide. Footbridges need strong and stylish balustrade in-fills and fall protections—CARL STAHL ARCHITECTURE is a specialist for almost any application involving stainless steel cables and mesh. From the first idea until the installation, we provide end-to-end services to customers for realizing footbridges and many other projects. The publisher Ernst & Sohn a subsidiary of the respected publishing group John Wiley & Sons is one of the leading specialist publishers for structural engineers in German speaking countries. The range of publications includes books in German and English, trade journals, special issues as well as the online magazine momentum. Founded as a rope-making factory in 1836 in the Swiss town of Romanshorn, FATZER has been producing top-quality ropes for generations. In the early stages, hemp ropes were manufactured for agriculture, fishing and shipping, with steel wire rope production being added around 1900. Nowadays, FATZER specializes in the development, manufacture and global distribution of high-quality steel wire ropes for ropeways, winches, structural applications, and other applications. With a long history of meeting specific market needs, FATZER is recognized as a leading rope manufacturer. Fiberline is one of the world’s leading suppliers of pultruded FRP profiles for structures. For more than 30 years we have manufactured durable solutions for construction purposes all over Europe. Our focus is quality, efficiency and a high degree of technical innovation. For more than 30 years GERB Vibration Control Systems has provided Tuned Mass Damper (TMD) Systems to help designers and engineers solve dynamics problems. Together we develop TMD Systems that significantly increase structural damping, are cost-conscious, and can be practically installed during or after bridge commissioning. GERB TMDs are usually tucked away from sight, leaving aesthetic elements undisturbed. Modern footbridges are unique structures, standard approaches of dealing with dynamic problems may fall flat. GERB TMDs are customized to offer predictable dynamic behavior, fit within geometrical constraints, and are highly adjustable. Steady the path with GERB! Jakob Rope Systems provides pliable and transparent net structures with a wide range of rope diameters and mesh apertures. Jakob Webnet for bridges safety is an active and passive protection asset for bridges. The stainless steel (AISI 316) Webnet is suitable for outdoor applications, is safety-certified, weather-resistant and highly durable. The LeichtbauWeis AG produce durable timber constructions coated with GRFP. It protects the wood against humidity and vermints and enables to apply a nonslip surface durable. Our elements are nearly CO2-neutral, lightweight, fast in mounting, flexible in design and economic! LUSAS is proud to enhance its unique single-environment infrastructure modelling products and services with the release of LUSAS v16.0. Building on its its globally valued analytical capabilities, LUSAS v16.0 allows users to further extend their workflow through new BIM and steel design codes including Eurocode and AASHTO. The MAURER Group is a leading specialist in mechanical engineering and steel construction with over 1,000 employees worldwide. The company is market leader in the area of structural protection systems (bridge bearings, expansion joints, seismic devices, tuned mass dampers, monitoring systems). It also develops and produces vibration isolation of structures and machines. Mürmann Gewindetechnik GmbH is one of leading manufacturers of tension rod and compression strut systems in stainless steel and carbon steel which meet the requirements of a modern construction design. The systems are available in steel grades S460 and S560, with European Technical Approval and sizes from M6 to M120 (tension resistance 6kN to 5263kN). The PFEIFER Seil- und Hebetechnik GmbH, with its business unit Cable Structures, is an unique expert in lightweight construction technology. No matter whether a simple design or a complex structure — PFEIFER is capable of supplying turnkey buildings from project design to its completion as a full-service provider. The company with its headquarters in Memmingen, Germany provides all kind of building solutions from tension members to membrane structures, as well as movable roof systems or retractable shade canopies. Cable structures for lightweight stadium roofs, glass and membrane facades and steel structures can be found in portfolio of PFEIFER, as well as long-span bridge construction in lightweight design. Cables and tension rod systems of PFEIFER are installed in more than 1000 bridges worldwide. The company looks back on decades of experience in bridge construction. PFEIFER has been involved in the construction of bridges all over the world since the 1970s. The technology provided by our company can even connect countries, literally. For example, the pedestrian bridge “Pont des Trois Pays” between Germany and France is supported by PFEIFER’s cable structure systems. Another example, the longest pedestrian suspension bridge in the world near Wernigerode in Germany is equipped with PFEIFER products and know-how. The bridge was opened this May and has a span of 438 meters. Complex designs and innovative structures are no problem for PFEIFER experts. The pedestrian and bike bridge over the Drave River in Puch, Austria, which was built in year 2015 is the proof for this statement. Its curved shape follows the flow of the river and it is merging organically with the hilly landscape. The installation of the bridge proved to be specially challenging, since only one steel pylon supports the complex construction of the bridge deck. Each and every cable is unique­—from the suspension cable and the hanger cable to the main cable, each cable has its own fixed, calculated position within the bridge construction system. The company PML is successful in building aluminum bridges for pedestrians and cyclists since 1996 and, as a novelty, PML distributes also hybrid composites bridges. A world leading steel cable manufacturer for tension structure applications. Founded in 1819, prestigious bridge cable systems span decades from the Storebaelt (Denmark), Bosporus Suspension Bridge (Istanbul) hanger replacement, to the Dubai Canal Footbridges (UAE). Our innovative approach to cable design, together with proven engineering and project management expertise has enabled Redaelli to successfully deliver a wide variety of cables solutions to stayed, arch and suspended structures which include several iconic Calatrava bridges and notable complex cable systems for cable net stadia roof structures. For years, Schmees and Luehn have been one of the leading suppliers of steel and wood bridge construction and hybrid construction of bridges—and also a recognized specialist for bridge renovation and structures made of GRP. We deliver exceptional solutions with the highest technical standards. The German company SOFiSTiK is one of Europe’s leading software developers for analysis, design and detailing of building projects worldwide. Over 1500 active customers prove the software’s applicability. Solutions range from basic 2D FE design packages to 3D bridge analysis suites. SOFiSTiK is Autodesk® Industry Partner and offers add-ons and apps for AutoCAD® and Revit®. Designers of modern lightweight structures and footbridges benefit from advanced formfinding and large deflection analysis features. Parametric graphical modelling and a Rhinoceros® interface allows quick design as well as comfortable structural optimization. Dedicated analysis and design modules (Eurocode, BS, AASHTO) support the bridge engineer. STRAINS is dedicated to structural analysis and innovation. We aim to provide our clients with sound structural expertise, based on scientific calculation and experience. Our involvement in software development gives us the opportunity to create and accumulate engineering knowledge in the field of structural analysis, and to set continuously the basis for further innovation. Since 1998 Structurae has been providing bridge and structural engineers with information on thousands of construction projects from around the world. The database also includes company profiles, biographies of engineers and a literature index as well as repository. Celsius® hot-finished structural hollow sections offer a stronger, lighter, more cost effective and aesthetically appealing structural steel solution to meet and exceed the most demanding applications. Innovative and developed to perform in the most arduous conditions, Celsius® is suitable for critical applications and demonstrates outstanding properties for guaranteed proven performance and complete reliability. Celsius® the ultimate choice in structural hollow sections. VICODA is a global specialist in vibration control offering products and services for all applications. Our product range for bridge construction includes tuned mass dampers, hydraulic dampers, bridge bearings and expansion joints. Our services cover measurements, detailed engineering, on-site installation and site support. For more than 70 years now, Layher has been the undisputed pioneer for top-class scaffolding systems “made in Germany”. With its ideas, this future-looking and highly innovative family-owned company has continually been giving vital new impulses to scaffolding construction and profoundly influenced developments. But Layher not only means high-quality scaffolding, protective and event systems, rolling towers and ladders: it is also a dependable partner of customers when it comes to outstanding services. Every day, more than 1,600 highly qualified and motivated employees are creating “more possibilities”—at the highly automated headquarters in Gueglingen-Eibensbach or at the sales subsidiaries in around 40 countries all over the world. Founded in 1993, the Architects & Engineers Co., Ltd of Southeast is administered directly under the Central Government and the Ministry of Education of China. The business scope covers various fields of the infrastructure construction industry, including the specialties of architecture, road, bridge, planning etc. An exhibition of specialist products and services will take place at the conference venue. Potential exhibitors should have a look at the Sponsorship and Exhibition Broschure or get in contact with messe@tubs.de. The Footbridge 2017 Awards will be organized and sponsored by Bridge design & engineering magazine and the winners will be announced at the Footbridge 2017 conference. Entries will be invited in February 2017, and all footbridge/cyclebridge projects which opened to the public or reached full completion between 1st January 2014 and 31st December 2016 will be eligible to enter. For further information, please visit the Footbridge Awards 2017 website. There will be a Young Authors' award sponsored by COWI. Further information will be available soon. Organised by the Chair of Conceptual and Structural Design at Technische Universität (TU) Berlin.